Sam Raimi ne parle que de World of warcraft. Il serait temps que le projet avance . Ça serait génial,je l'adore cette acteur. Sam raimi ne realiserais plus le film. Bon je suis pas fan de l'univers je vais pas m'en plaindre. Duncan Jones is taking on Legendary Pictures' adaptation of the popular video game universe. Duncan Jones is making the jump to big-budget tentpole movies, signing on to direct Warcraft, Legendary Pictures’ live-action adaptation of Blizzard Entertainment’s video game universe. 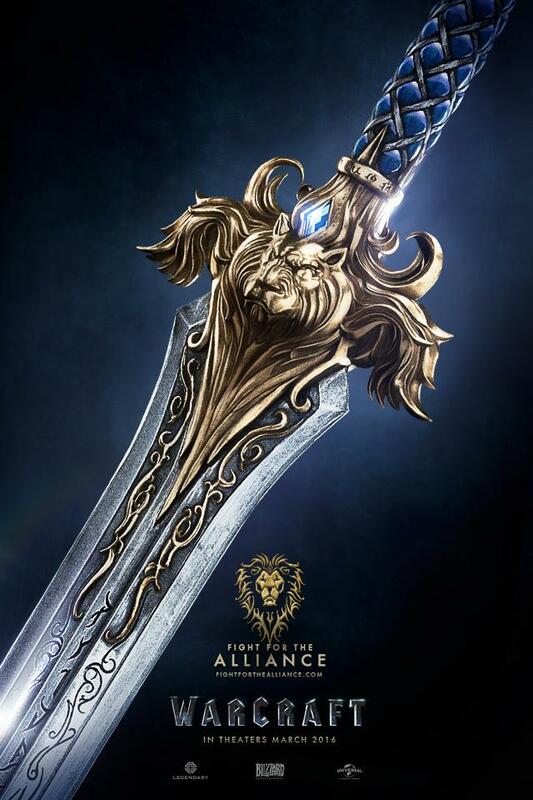 Thomas Tull and Jon Jashni are producing for Legendary along with Blizzard and Atlas Entertainment’s Charles Roven and Alex Gartner. Taking an almost kitchen-sink approach to fantasy, Warcraft, which has grown to be one of the most popular multiplayer online role-playing games out there, is part fantasy, part science fiction and — depending on the game you’re playing — includes elements such as dragons and orcs, zombies and werewolves, and aliens and spaceships. Legendary is keeping its script, written by Charles Leavitt, under wraps. The Warner Bros.-based production and finance outfit is eyeing a fall 2013 start and a 2015 release. Jones’ producing partner, Stuart Fenegan, will executive produce while Chris Metzen will co-produce for Blizzard. Warcraft is a big jump up in terms of scope and scale for Jones, the filmmaker son of David Bowie known for his thoughtful sci-fi work. Jones (CAA, Independent Talent Group, Bloom Hergott) made his feature debut writing and directing 2009's Moon, the well-regarded low-key indie sci-fi drama that starred Sam Rockwell and cost about $1 million to make. He followed that up with Source Code, Summit’s 2011 time-travel thriller that starred Jake Gyllenhaal and cost about $35 million to make. 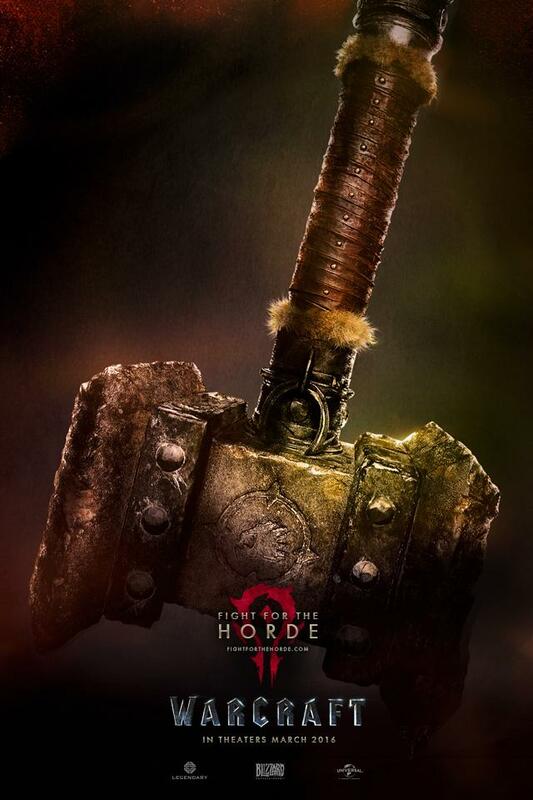 Warcraft is expected to have a budget north of $100 million. Roven most recently produced The Dark Knight Rises and is a producer on Man of Steel, both of which involved Legendary. Atlas is in pre-production on David O. Russell’s follow-up to Silver Linings Playbook, an untitled project that will star Bale, Bradley Cooper, Amy Adams and Jeremy Renner. Production begins this March. Legendary is prepping for the July 12 release of Guillermo del Toro’s monsters vs. mechas tentpole Pacific Rim. Est bien.....pas fan bizarrement . Ça reste toujours un des films dont j’attends le plus pour 2016 (top 5)! Mais Ouep, autant ca a l'air SPECTACULAIRE....(clairement), mais autant le TROP pleins de CGI m'ennuie un peux (effet Hobbit...pourtant j'ai aimée....mais je peux pas les voir 20x non plus), j'ai peur que ca me sortent du film. Pas fan quand il abuse a ce point....et surtout souvent la qualité des cgi n'aide pas (si c'est photo réaliste le rendu est meilleurs perso, La Planète Des Singes la prouver...alors que d'autres films....une bouillie de Pixel), mais a voir hein, je l'attend toujours impatiemment....et je pense qu'il sera quand meme trés bon !!! Puis un film de fantasy...autre que la saga SDA....sa va faire du bien ^^. Je trouve juste quel que plan....moyen (too much, enfin fond vert qui ressort trop), mais sinon ca m'a l'air d’être un sacré film d'aventure/action assez épique....et en prime Ragnar de la série Viking .